Users are the central part of planning resources since users are the people that login to the tool and do the actual planning. Why do we have to explain such a simple thing in an excessively complicated way? 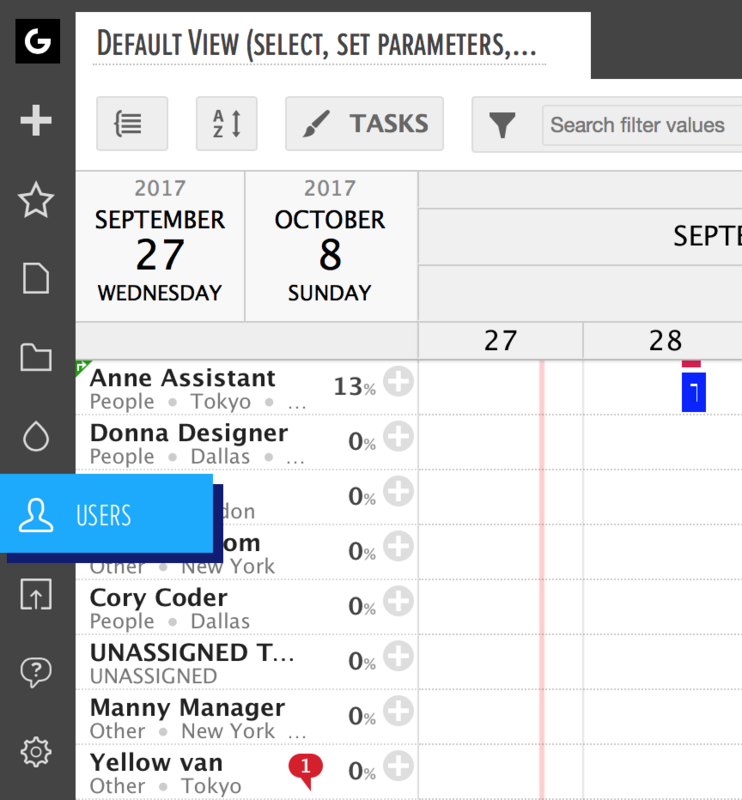 Since Ganttic is mostly used for scheduling people, it's easy to come to the conclusion that users you add are the resources you are going to plan. That isn't nece the case. Users can be resources but don't have to be. You have to add resources and users separately. Here, you'll learn how to add users. Users are not resources. The same person can be a user and a resource but you must create the user and the resource separately. 'Administrator' has access to all functions. 'User' permissions can be limited. 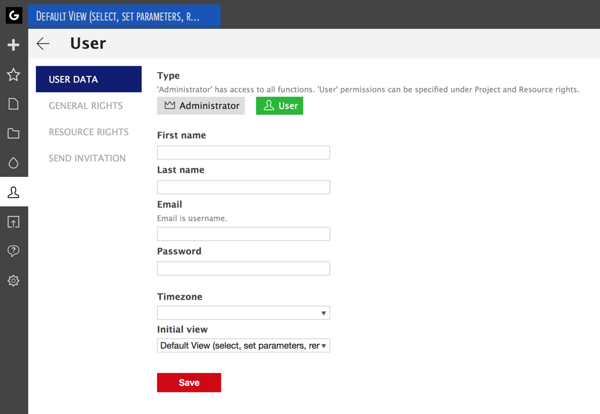 You can choose between 'Administrator' and 'User''Administrator' has access to all functions. 'User' permissions can be limited. That's the email they will have to use for logging in. The email can't be connected to any other accounts in Ganttic. The password you set is temporary, the user will be asked to set a new one. All users can have different time zones. The planned tasks will be placed accordingly. That will be the first view the user will see. You can create different views using list type custom data fields. 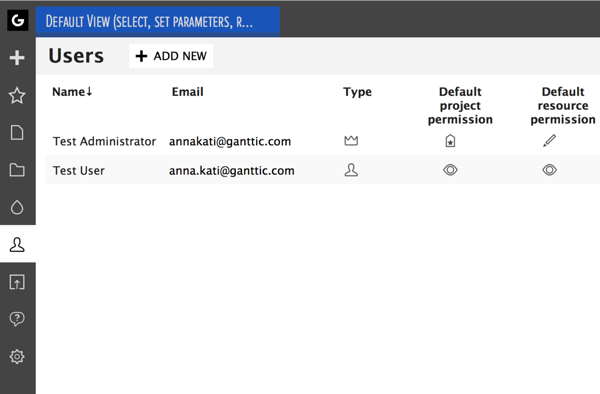 For example, if you create a view for a specific department, and you think that the user would benefit from landing on the department view, and not the general resource view, set the department view to be the initial view that the user sees. It won't send out an invitation. Proceed to 'Rights' tab from the left to set General rights and Resource editing rights to the user before you click on 'Send invitation'. Did not find the answer to your question regarding adding users?